Nowhere in Cornwall and west Devon is too far away and all visitor attractions can be comfortably visited in a day trip. 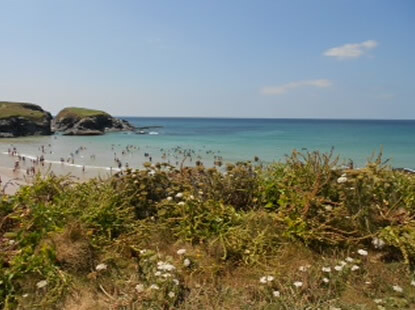 For example, the picturesque harbours of Padstow and Fowey, the Eden Project and the Lost Gardens of Heligan are all within an hour of Hill View. There are also plenty of things to do and see in the locality. Hill View is excellently situated as a base for walking, horse riding, cycling and golfing. It is possible to walk into the countryside directly from the property although many spectacular walks are situated within a short drive. Cycle trails and horse riding stables are close at hand and Hill View is well placed to sample a number of Cornwall's finest golf courses. There are a number of attractive pubs and restaurants in the area and Hill View is lucky to be close to two local eateries that we strongly recommend. A mile away is The Racehorse Inn (www.racehorseinn.co.uk). Run by Ray and Florrie this gastro pub in North Hill produces modern food using only fresh local produce putting flavours on a plate that are splendid. Slightly further afield is The Springer Spaniel Pub at Treburley (www.thespringerspaniel.co.uk). This delightfully rustic country pub, owned by former professional Masterchef champion Anton Piotrowski prepares an impressive menu designed to tempt everyone. Booking is recommended. Launceston with its famous castle is a beautiful historic town just off the main A30 trunk route. Having once been the capital of the county, Launceston is now described as the gateway to Cornwall. Steeped in history, the town has many interesting buildings and streets including Castle Street which Sir John Betjeman described as “the most perfect collection of 18th century townhouses in Cornwall”. Castle Street is also home to the fascinating Lawrence House Museum. Other architecture includes the beautiful church of St Mary Magdalene, the remains of an Augustinian priory, and parts of the old town walls. The narrow streets have a mix of local and speciality shops and there are plenty of places to eat and drink. 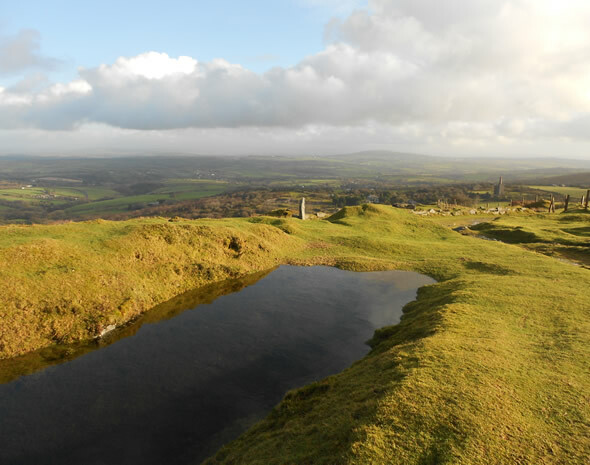 Travellers across Bodmin Moor on the A30 main road may think there is little to see or do on this granite moorland However, this landscape which was first farmed over 4000 years ago is home to an abundance of wildlife, dramatic scenery and many archeological fascinations. The dramatic tors, of which Brown Willy is the highest point in Cornwall, are complemented by lakes, moorland, marshes and rough grasslands. 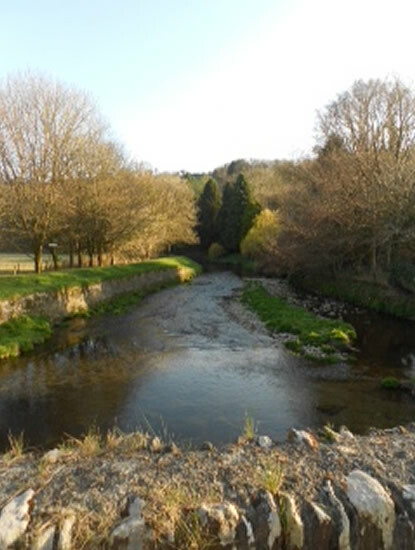 The River Lynher, which flows through the woods below our bed and breakfast, together with the rivers Fowey and Camel have their source on the moor. 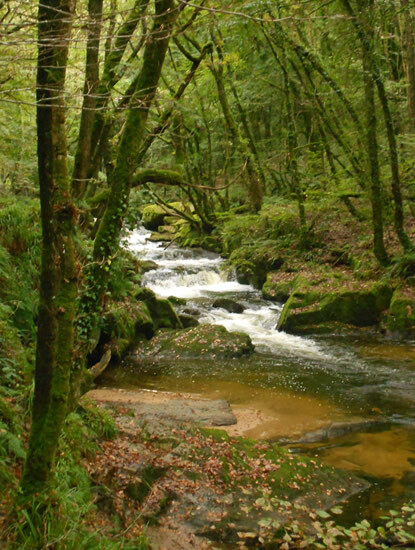 The River Fowey provides a spectacular walk at Golitha Falls as it meanders its way off the moorland. In general, Bodmin Moor provides a flatter terrain than Dartmoor, although the more challenging awaits should you so desire. Close to Hill View is the village of Minions which provides an excellent starting and finishing point for walking, cycling or horse riding with 'The Hurlers' stone circle and the impressive 'Cheesewring' a short distance away. In the eighteenth and nineteenth centuries an increasing demand for copper, tin and other minerals led to extensive mining activities which have left their mark in many places across the moor. The area is certainly steeped in history and is as beautiful as anywhere in the west country. It is a refuge for nature and a place for quiet open air enjoyment. 10 minutes drive from Hill View is Sterts Open Air Theatre. It is one of Britain's most unusual theatrical settings: a canopied amphitheatre seating 400 nestling comfortably in the grassy side of Bodmin Moor. A fantastic venue for a summer evening of entertainment, the theatre stages a mixture of amateur and professional productions from May-September. There is a bar and restaurant for pre-show meals or you can take a picnic. On certain evenings there is a beer tent and barbecue. Siblyback Lake is surrounded by the striking Bodmin Moor and offers a wide range of activities beside or on the water. There are facilities to try your hand at rowing, sailing, windsurfing and canoeing. SW Wakeboarding is the first full system in Devon and Cornwall and the only clockwise cable in the whole of the UK! With the scenic back drop of Bodmin Moor it is a stunning place to go for a wakeboarding trip whatever your ability. Permits for rainbow trout angling are available from the Centre, and boats can also be booked. Siblyback Segway Adventure is an exciting new partnership which has been established at Siblyback providing visitors to the site with the unique opportunity to explore the lake on one of these fantastic forms of transportation. There's plenty more to do at this scenic lake, including miles ofwalks, excellent bird watching, children's play areas and a café overlooking the water. Cycle hire is now also available. Hill View is situated a mere stone's throw from the River Lynher for which fishing permits can be obtained. Trout can be fished from 16th March to 30th September and Salmon from the 1st March to 14th October. Fishing is also available at the nearby lakes of Colliford, Siblyback and Roadford. Golitha Falls are a series of spectacular cascades through a steep-sided valley gorge on the upper reaches of the River Fowey. Golitha Falls and the ancient woodland through which they flow is a National Nature Reserve of great importance for its lichens, liverwort and mosses. The reserve also has a diverse flora supporting a variety of plants. The wildflowers are best seen between April and July. 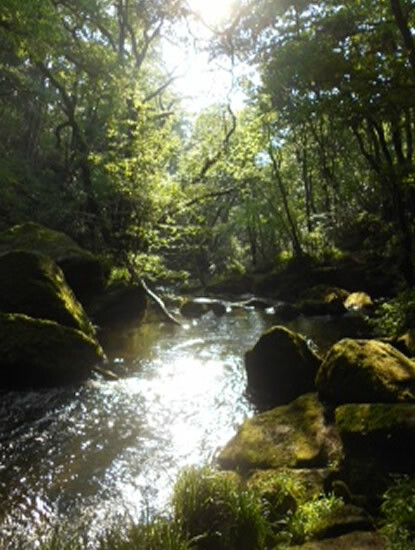 In addition to its flora, Golitha Falls is also a home to a large variety of wildlife including several species of bat, over 30 species of birds and otters. There are several well marked trails in the nature reserve, including those with access for people with disabilities. There is a large car park near the entrance to the reserve. Hill View is within easy reach of a number of Cornwall's finest houses and gardens. Cotehele House, Pentillie Castle, Lanhydrock and Pencarrow are all within a short distance. Slightly further afield are Trerice, the Eden Project, the Lost Gardens of Heligan and many more.